Wind down after a day of business meetings or outdoor fun in Mountain View. 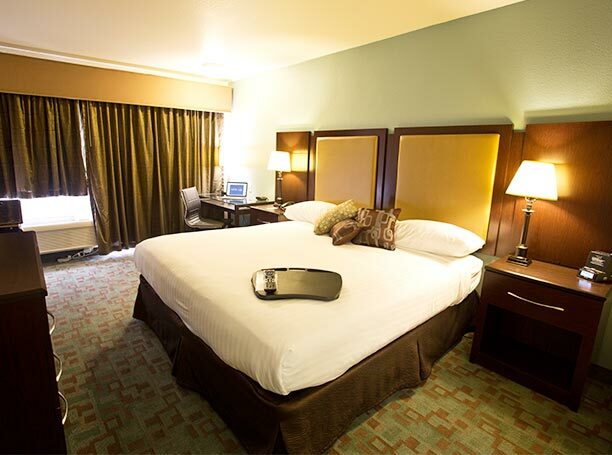 Hotel Vue features beautifully designed rooms that are comfortable and perfect for work or relaxation in the Bay Area. Our upscale accommodations ensure a stress-free stay in Silicon Valley with everything needed to meet, work, play, and unwind peacefully. 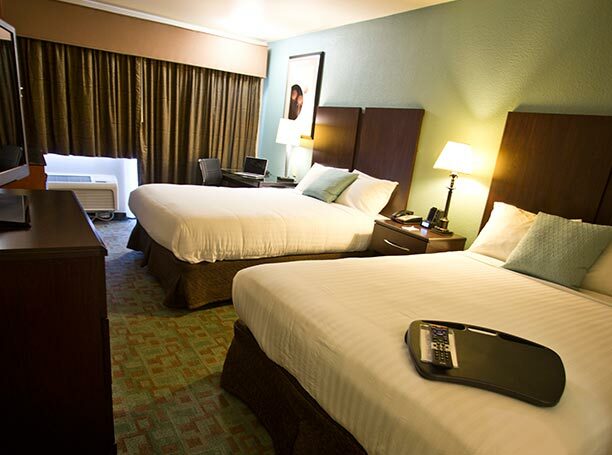 Relax in chic boutique style rooms with plush double pillow-top beds with luxury bedding, spa-like bath amenities, and one of the area's fastest fiber optic Wi-Fi connections. Kick back in front of the flat-screen TV for quiet nights in and wake up refreshed before heading down to enjoy a complimentary breakfast. Stretch out and sleep well in this modern room with two double pillow top queen beds fitted with luxury linens. 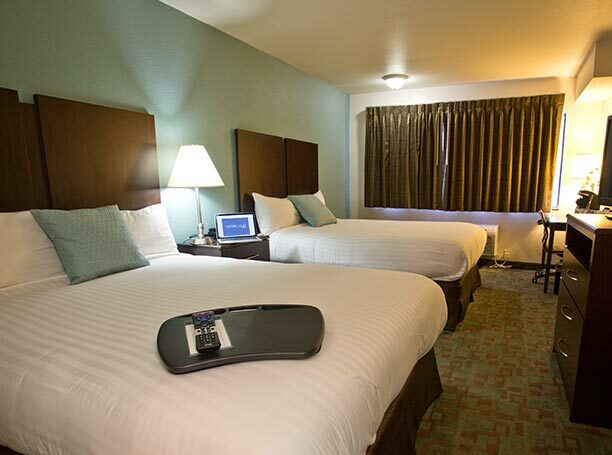 Enjoy free Wi-Fi, a comfortable workstation, Keurig coffee/tea maker, and a flat-screen TV with premium cable channels during your stay in Silicon Valley. 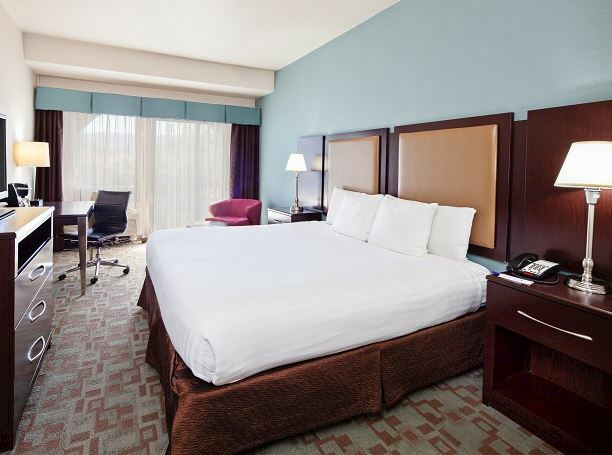 Rest and rejuvenate in this boutique-style guestroom with one double pillow top queen bed fitted with luxury linens. Enjoy free Wi-Fi, a comfortable workstation, Keurig coffee/tea maker, and a flat-screen TV with premium cable channels in Mountain View. 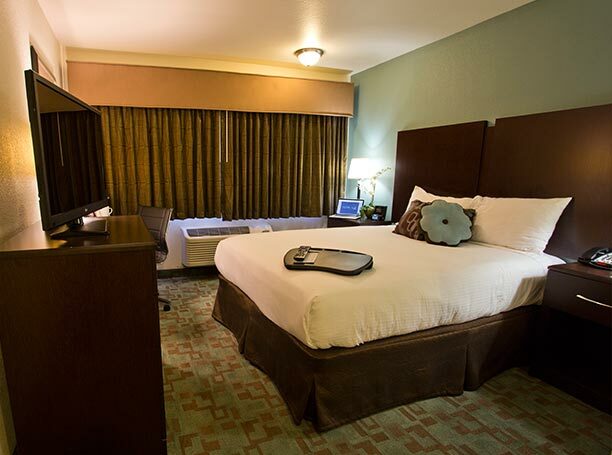 Unwind in this superior room with one double pillow top king bed fitted with luxury linens. Enjoy the comforts of home with a microwave, refrigerator, free Wi-Fi, flat-screen TV, Keurig coffee/tea maker, wet bar with sink, and a balcony to enjoy the Bay Area sunsets. Settle into this deluxe guestroom and sleep well in one double pillow top king size bed fitted with luxury linens. Enjoy our spa-like bathroom amenities, free Wi-Fi, flat-screen TV with cable, Keurig coffee/tea maker, and balcony to step out on. Perfect for families, unwind in this superior room with two double pillow top queen beds fitted with luxury linens. Make yourself at home with a microwave, refrigerator, free Wi-Fi, flat-screen TV, Keurig coffee/tea maker, wet bar with sink, and a balcony to enjoy the Bay Area sunsets. 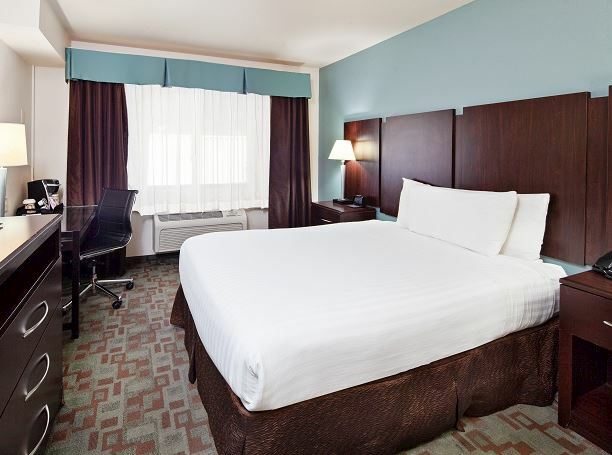 Relax in this modern, ADA compliant guestroom featuring one double pillow top queen bed fitted with luxury linens. Enjoy our spa-like bathroom amenities, free Wi-Fi, flat-screen TV with cable, Keurig coffee/tea maker, and balcony to step out on.